Prices start at $1,400 per person, double occupancy, plus $240 per person port tax. SAIL THAILAND'S BEAUTIFUL COASTAL ISLANDS. Sail the coast of Thailand starting and returning to Phuket. 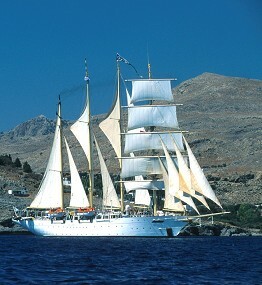 Enjoy beautiful views, exotic cuisine, complete relaxation aboard the Star Clipper for 8 nights. There is much to explore and see in Thailand. Visit ancient ruins, harbor towns, or never even leave the comfort of your cabin.